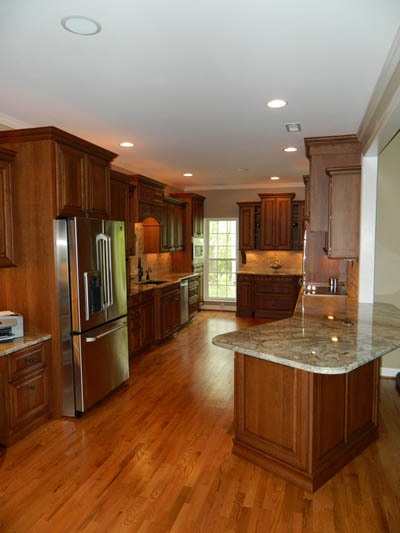 No matter the type of kitchen remodeling service you are hoping for in Charlotte, NC, you can be sure you are making the right choice with us. Kitchen remodeling can give your home some much-needed revitalizing. Many homeowners are hesitant to tackle such a large investment, but there are many reasons why a home remodeling service may be right for you. At Carolinas Custom Kitchen & Bath Center, we handle remodeling projects of all sizes, from small changes to major renovations. No matter the type of kitchen remodeling service you are hoping for, you can be sure you are making the right choice with us. We have designed many dream kitchens for your neighbors in the Charlotte, NC area, and our kitchen designers are ready to design one for you. Here are just a few of the reasons to consider a kitchen remodel for your home. Your Kitchen Is No Longer Functional. A kitchen that is small or difficult to maneuver can make cooking a frustrating task. You use this space every single day, and if it is inconvenient to use, you are wasting the space. Kitchen remodeling can open up the space and make it easier to use. This can return a love of cooking or baking that has long since been lost to a tiny, cramped kitchen. Your Kitchen Is Outdated. If you own an older home, chances are the kitchen is outdated. From old, overused oak to oddly colored laminate, there are many features of an old kitchen that could use refreshing. Even new paint, appliances and hardware can make a world of a difference. Kitchen remodeling services from us at Carolinas Custom Kitchen & Bath Center will breathe new life into an outdated kitchen. You Just Want a Change. Sometimes, you just need a change. Whether it is spring fever or something you have wanted to change for a while, kitchen remodeling can allow you to update the style of your home and make it more “you” again. Whether you want something sleek and modern or a more rustic farmhouse feel, we are ready to help. You Are Selling Your Property Soon. We know it seems odd to invest in a kitchen you won’t be able to enjoy, but a fully-updated kitchen can be a huge selling point for your home. In fact, it is considered the largest selling point for potential buyers. A remodeled kitchen can add to the value of your home, and it can help your home stand out from competing properties. Enjoy your new kitchen when the work is done! Contact us at Carolinas Custom Kitchen & Bath Center today for more information or to schedule a consultation.